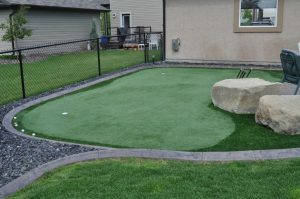 Small Calgary landscape with curb appeal and artificial grass - Curb Design Inc.
Small Calgary landscape with curb appeal and artificial grass. 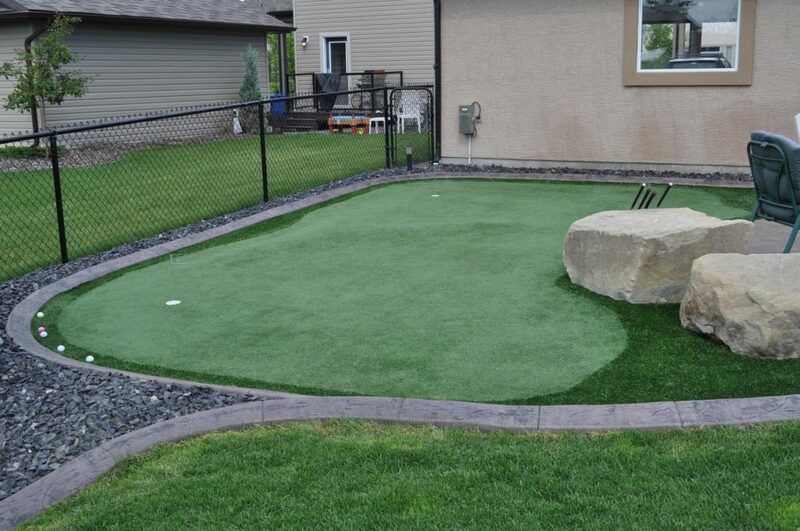 Made for putting green. Golf balls on turf. Large landscaping rocks.